City crews will soon be clearing trees and tree limbs on First Street encroaching on the public right-of-way in preparation for this summer’s construction season. First Street reconstruction will include upgrades to water, sewer, and storm lines, in addition to sidewalks, curb and gutters, ADA ramps, and the realignment of the First/Victoria/Stewart intersection. The design requires use of the entire public right-of-way. 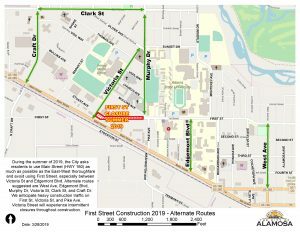 Reconstruction of First Street is anticipated to begin May 1 and completed by the end of summer. Over the next few weeks, Xcel Energy will be moving gas and electric lines. This may result in occasional, brief loss of services during daytime hours. 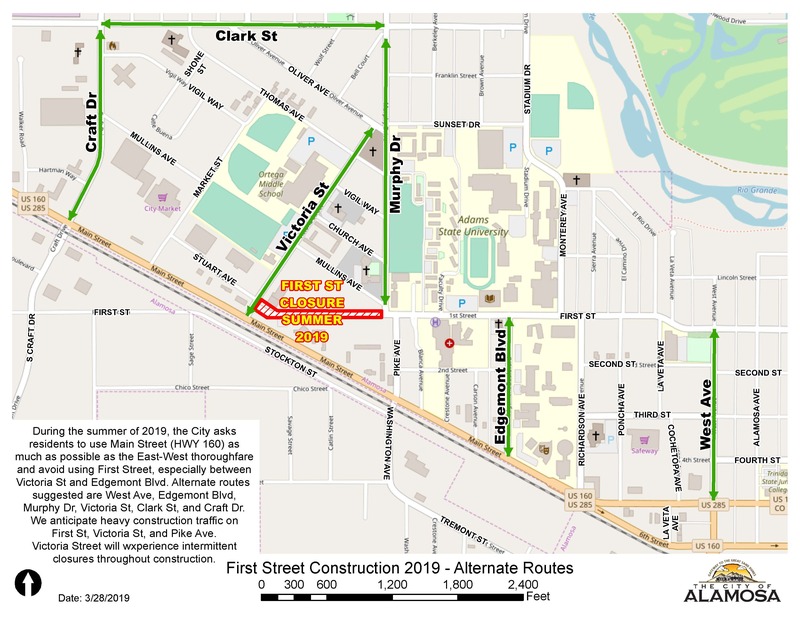 This phase will result in the closure of First Street from Murphy Drive to Victoria Street. The City will strive to allow access to affected properties during mornings, evenings, and weekends during construction.